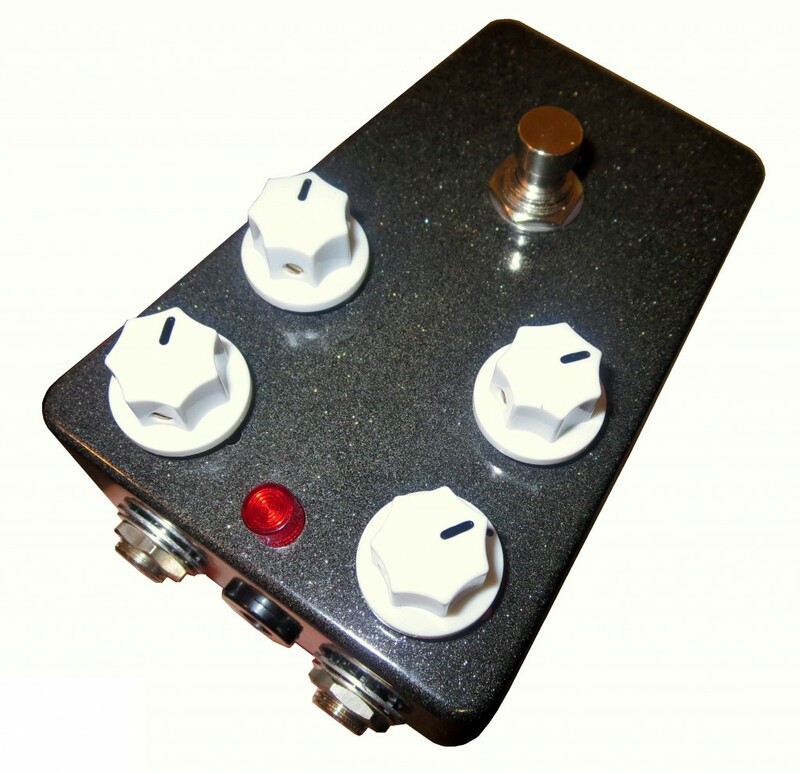 CHECKOUT THE CHASE TONE™ ’68 Red Velvet FUZZ™! Volume: Higher levels enhance treble EQ to cut through a mix. Reduce for smoother a top-end. Fuzz: Increased range of travel in comparison to vintage FF units. Backing off slightly from maximum increases feedback and reduces fizziness from higher bias settings. Bias: Optimally biases the transistors for the preferred gate, feel and pick attack; from thick, warm and gated fuzz tones… to open, clear, full bodied clean, overdrive and fuzz leads. ← Turning counter-clockwise provides a Warmer “Vintage Spec,” Gated Character. → Turning clockwise provides a Bolder, Punchy Tube Style Texture. Headroom: Reduce bottom end, enhance guitar volume cleanup, and reduce or eliminate wah induced oscillations (Guitar> Wah > Fuzz > Amp). Useful for humbucker equipped guitars. * If Alien Radio Transmission Signals are present, please reduce the Headroom Control to less than 100% maximum. 360° viewing angle hi-brite RED Light Emitting Diode w/ red high-impact diffuse-ribbed ABS plastic protector. USA: USPS Priority Mail 3-5 days for delivery. International: USPS First Class Mail. 7-14 days for delivery. Customs may add additional wait times.